The Polycom VVX 411 is the expandable color business media phone that delivers crystal-clear communications - enhanced collaboration and personal productivity for today's office workers and call attendants. 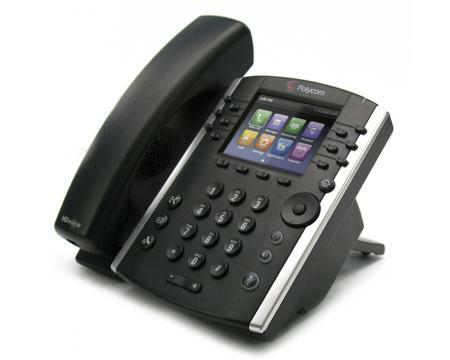 All VVX 411 phones can quickly switched between Generic SIP and Microsoft Lync/Skype in the phones main menu. 025 and 001 phones come ready for Generic SIP and 018 and 019 phones come ready for Lync/Skype.